During this season of giving and celebration of the birth of Christ, I encourage everyone to get involved with your local church. Many area churches have many outreaches in the community, many of which are run by volunteers and there is always a need for more people to get involved. I know of a number of congregations here in Lebanon that operate a number of programs that support the community from after school tutoring programs, food pantries to homeless ministries serving those needing a warm place to stay in these frigid Winter months. So take a moment and visit your church's website or speak with your pastor or other church leaders to find out how you can support the outreach programs that serve so many in our communities. Every year about 175,000 cases of cancer will be diagnosed in children around the world and the majority of children will not have access to adequate diagnosis and treatment. This could easily happen in any one of our own families. They majority of all funding received by St. Jude is from generous donors. The families of the children being treated here will never recieve a bill for treatment, travel, housing, or food. Now that is helping someone in their time of need! "Dreams and Wishes of Tennessee is a 501 c (3) Wish Granting organization founded in 2013. We grant wishes to kids that have relapsed from cancer and wishes to young adults 18-21 that are newly diagnosed with a life-threatening illness. We've currently granted 20 wishes since inception and have an additional 27 kids approved and on the list waiting for their wish. We do quite a few title searches every day in our office. In its most basic form, a title search on real estate means that we search all applicable public records to determine what has been publically filed regarding a piece of real estate. Quite often there is some type of lien against the property that comes up. Usually, this lien is simply the seller's mortgage, however, that is not always the case. It is never fun to make a surprise a seller with news that there is a lien filed against him, which will need to be released prior to closing on the sale. So what do you do if you get one of these calls? First of all, don't panic. It's quite possible that the lien is not yours if you were not aware of it. For example, a court judgment could be issued against someone with a name similar to yours. These judgments are then recorded and will show up on our title search. For example, if there has been a judgment for $5,000.00 declared against a woman named "Stacy S. Smith" in your county and your name is "Stacy M. Smith," this will probably show up on our title search because it is possible that this is the same person. We will simply compare your social security number to that of the true defendant to clear you of that lien. Thankfully, this is often the end of that unexpected lien for a seller. If the lien does belong to you, there are several routes. First of all, there is a small possibility that the lien has expired. Depending on the type of lien, it must be renewed or re-recorded every so often. If it is not re-recorded in a timely manner, the lien does not apply to your real estate. If it has not expired, you will probably have two options: 1) pay the lien (we can obtain the payoff for you from the creditor) or 2) hire us to negotiate the lien on your behalf. Negotiating a lien, especially an old lien, can sometimes decrease the amount you would have to pay for the creditor to release the lien. If the lien is valid and yours, it will need to be released by the creditor before we can close. No matter what pops up on your title search, we are here to help guide you and make your closing as smooth as possible. Landlord Tenant Law is an area of law where so many non-lawyers decide to represent themselves. It seems like a good idea to the non-lawyer because they will save on lawyer fees, however, most of the time it ends up costing them much more in the long run. Landlord Tenant law is a minefield of potential mistakes. Just figuring out which set of laws applies to the county in which you live in Tennessee can be challenging. One area where we constantly see deficiencies in a Landlord representing them self is by the Landlord either not using an eviction notice or using them incorrectly. 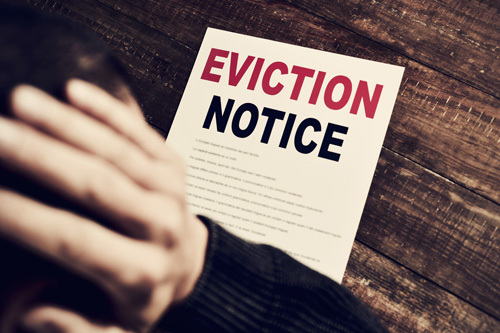 If an eviction notice is not used or used incorrectly it can cause the Landlord's case to be dismissed from court and can cost the Landlord significant amounts of money. It can also possibly open the Landlord up to be sued for Wrongful Eviction. In Tennessee a Landlord is required to give a non-paying tenant an eviction notice. In most cases the Landlord must give the Tenant an opportunity to cure their non-payment and this must be clearly set out in the notice. The law sets out very specific days and other matters which must be stated in an eviction letter. We do not recommend that you try to traverse this area of the law alone. If you see a potential legal matter concerning your rental properties please call our office immediately. If have a rental property and need help with an eviction or have any other legal situation, contact us and we would be glad to find the best option for your situation. 2. Refuse to take a blood test. Of course if you refused to take the blood test you would then be charged with Failure to Consent and DUI, instead of just DUI. It would then be up to the state to prove that you were in fact impaired and guilty of DUI. It was much more difficult to prove you were guilty of DUI without the blood test. 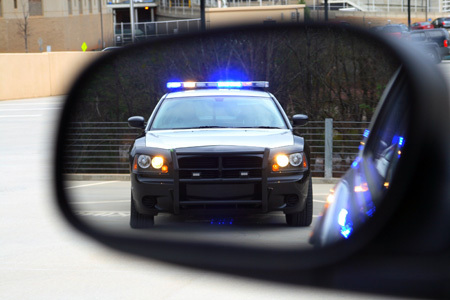 In recent years this has changed, now if an officer has probable cause to believe that you are impaired he can seek a search warrant and force you to give blood even if you refuse. This can make matters much more difficult on the accused and greatly increases the need for competent representation. Our firm has seen this threatened by law enforcement officials to get the accused to consent to a blood draw. The best solution is not to drink and drive at all. However, if you have been charged with DUI it is very important to have your case reviewed by an attorney. If you are accused of a crime call our office immediately.